After wrestling with it for a month or so, I’ve decided not to script an episode for season six of Game Of Thrones. Writing a script takes me three weeks, minimum, and longer when it is not a straight adaptation from the novels. And really, it would cost me more time than that, since I have never been good at changing gears from one medium to another and back again. Writing a season six script would cost me a month’s work on Winds, and maybe as much as six weeks, and I cannot afford that. With David Benioff, D.B. Weiss, and Bryan Cogman on board, the scriptwriting chores for season six should be well covered. My energies are best devoted to Winds. When I say, “my plate is full,” I don’t just mean with Winds. I am still editing the latest Wild Cards volume, High Stakes. I have an overall deal with HBO, and three new television concepts in various stages of development, with a variety of collaborators and partners. I am consulting on a couple of videogames. There’s the Wild Cards movie at Universal, where I’m a producer. And I’ve recently formed a new production company to make low budget short films based on a trio of classic short stories by… well, no, not yet, that would be telling. Premature telling. 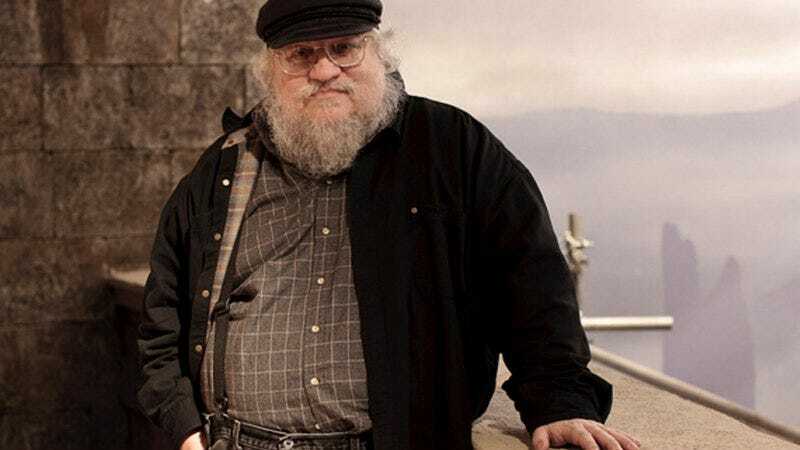 While we won’t be seeing (what’s left of) the series’ characters shivering in The Winds Of Winter this year, here’s hoping the days and weeks Martin has blocked to write produces a 2016 release date. Gods be good.